The Emery, which lies at the intersection of research, academics, industry, and infrastructure, is strategically positioned between the Oregon Health and Science University (OHSU) and the new Collaborative Life Science Building. The 7-story building, which caters toward OHSU constituents, such as residents, researchers, and students includes studios, one, and two-bedroom apartments, a lounge and elevated outdoor terrace, secure bicycle parking, and rental storage. As a complement to the resident amenities, there is a “retail porch” that houses six local merchants on the street level. 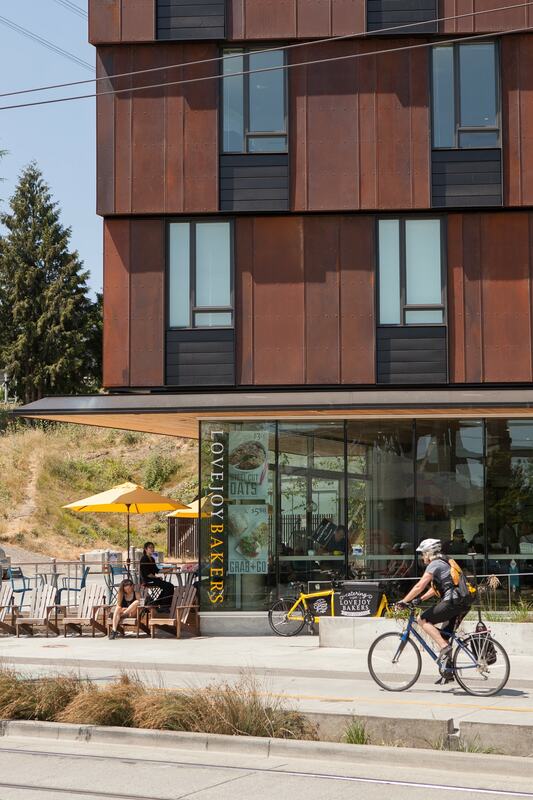 These shops and restaurants cater to the specific needs and lifestyle of residents while fulfilling a retail void and forming a gateway to the South Waterfront neighborhood.